Once considered an over-the-top luxury, heated driveways and walkways are gradually going mainstream, saving homeowners hours of back-breaking labor along the way. Some folks consider the winter to be their favorite season. But very few do not dread the task of shoveling the walk and driveway after a storm. That’s why more and more homeowners are opting to put in tech-savvy, labor-saving, snow- and ice-melting systems. Manufactured by companies like SunTouch, the technology hinges on electric heating cables or mats, installed beneath key outdoor surfaces and activated either manually or automatically via a special sensor. 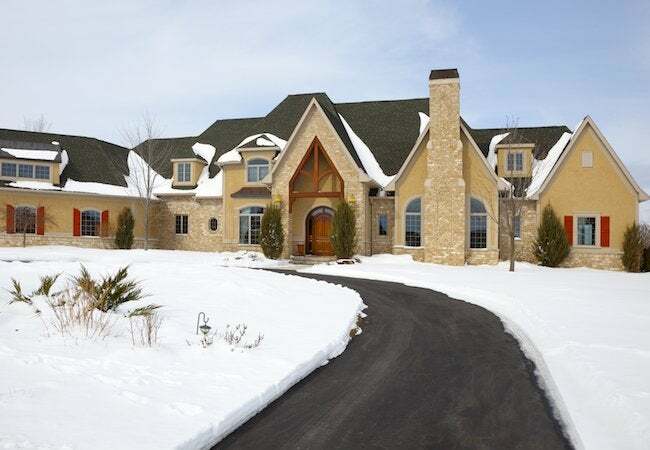 Typically, the heating elements in ice-melting systems are protected by insulated, weatherproof jackets that prevent corrosion and help ensure durability, no matter the material makeup of the driveway or walk. Of course, given the nature of their design, you cannot retrofit a snow-melting system. But it may be wise to keep the technology in mind for the next time you upgrade your hardscape or take on new-home construction.